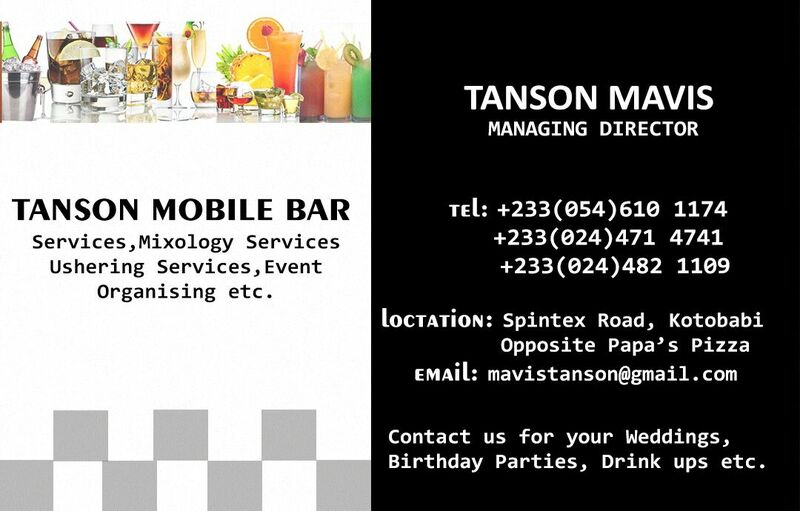 Tanson Mobile Bar Is a Portable Bar Rental, Signature Drink Creation and Superior Event Staffing services provider. Tanson Mobile Bar fills the void left by caterers. Tanson Mobile Bar Services is your Number One beverage / bartending resource for any event! We are Wedding Wire Rated. Just call Tanson Mobile Bar and tell them you saw this advert on www.ghanathings.com, Automatically you have qualified for a 10% discount.